The City of Santa Clarita’s Anti-Gang Task Force honored 18 local youth during an SCV Teen Hero Recognition Ceremony at the Activities Center Monday. “These young people here are heroes to all of us and will continue to be in the future,” said Santa Clarita Anti-Gang Task Force co-founder Maria Fulkerson. Each of the junior high and high school students were selected by their teachers, school administrators and community members for their leadership qualities and ability to overcome life challenges including illness, abuse, drug and alcohol addiction and divorce. Almedia was selected as a Teen Hero by two of his Canyon High School teachers, Mary Purdy and Cheryl Hanks. He said he’s honored to hold the title. 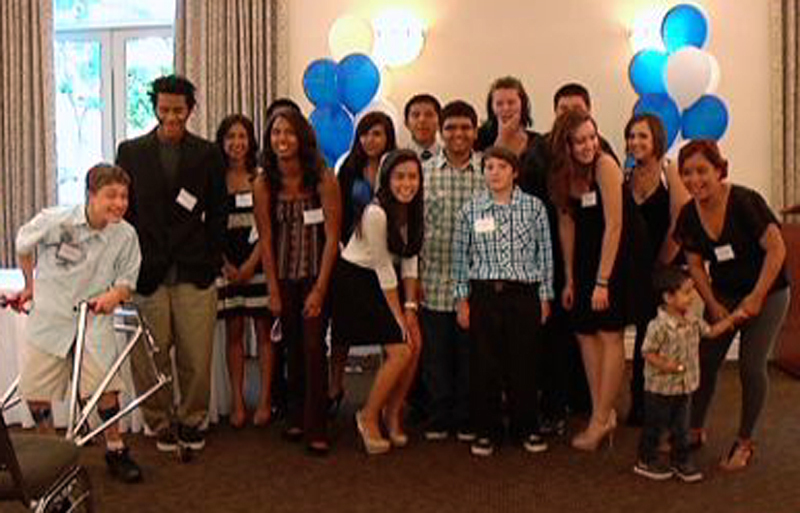 All 18 of the 2011-12 SCV Teen Heroes received a gift bag filled with gift certificates to several local restaurants and a ticket to Six Flags Magic Mountain. The City’s Anti-Gang Task Force was founded in 1991 in efforts to end crime and gang violence in Santa Clarita through community partnerships and positive programs for teens and their parents.